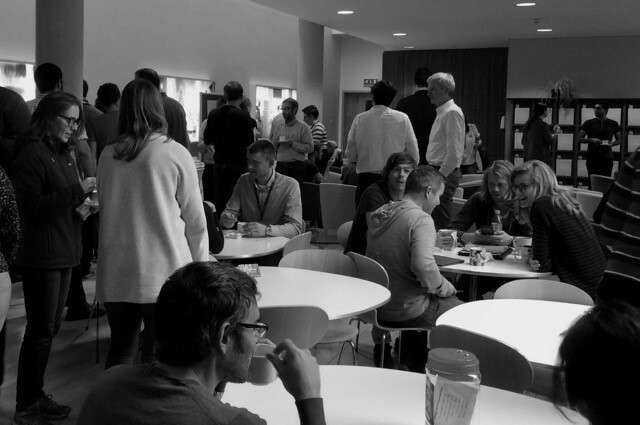 The Dunn School’s commitment to tackling bullying was celebrated with a friendly morning coffee on Friday 16th November, coinciding with the end of National Anti-Bullying week. 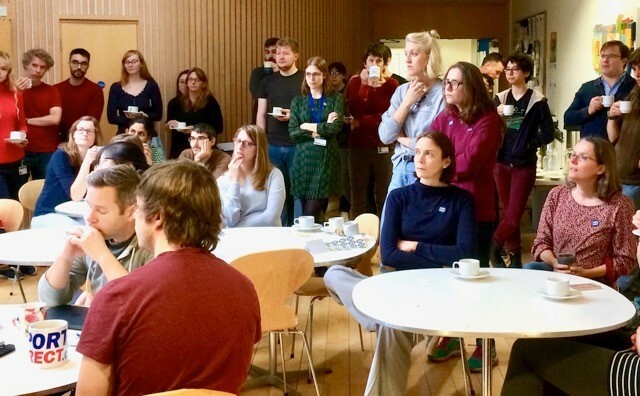 Over 100 students and staff members got together in the combination room to enjoy coffee, tea and bite-size cakes with their peers. The highlight of the event was when the crowd gathered around to hear the speeches given by some of the members of the Dunn School Anti-Bullying and Harassment Working Group – an internal committee with representatives across all communities in the department that addresses issues on bullying and harassment-like behaviours. 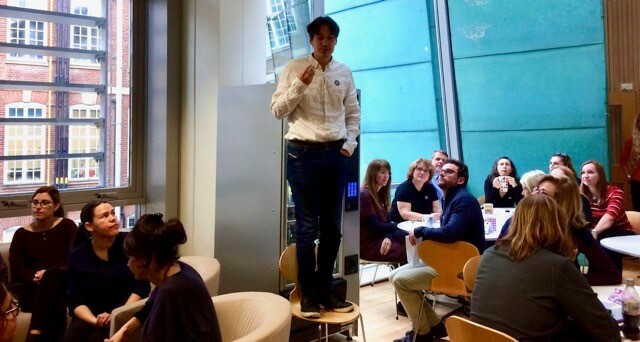 One of the members, Ivan Ahel, Dunn School group leader and Chair of the Athena SWAN committee, reminded everyone about that the Anti-Bullying working group is constantly working to set up mechanisms to completely eliminate bullying. Amongst these, Ivan quoted the compulsory courses for group leaders, the increase in the number of anti-bullying advisers, the update in support resources available and new documents to raise awareness of behaviours that could be interpreted as bullying. He finished his speech by saying: “At the Dunn School, we take bullying very seriously and have zero tolerance for it”. Andrew Souter, the Dunn School’s HR manager and member of the Anti-Bullying working group, gave an inspiring speech about his approach to difficult situations based on both his relatively recent arrival in the Department, and what he experienced as bullying in the work-place during his time working as a lawyer. Andrew acknowledged the current challenges and summarised his views via three emerging fronts: framing the discussions to gauge everyone’s behaviours and feelings, unifying actions while talking more about it, and investing in the relationships around people. He also reminded attendees that “everyone deserves to be treated with respect” and the importance of being aware of how their actions can affect others. Andrew also read a brief message on behalf of Martin Reichhardt, current Chair of the Anti-Bullying working group, who encouraged “anyone who is feeling bullied to seek help and advice before any issue becomes overwhelming”. Closing the speeches on a positive note, Head of Department Matthew Freeman, announced the Dunn School Good Citizenship Awards, which will recognise those individuals who are ‘like a ray of sunshine’ to other Dunn School members. Everyone will have the chance to nominate individuals and choose the winner following a light-hearted candidates’ vote. It is the third year that the Dunn School has actively enacted Anti-Bullying Week, a national campaign from the Anti-Bullying Alliance, which this year ran from 12th-16th November. 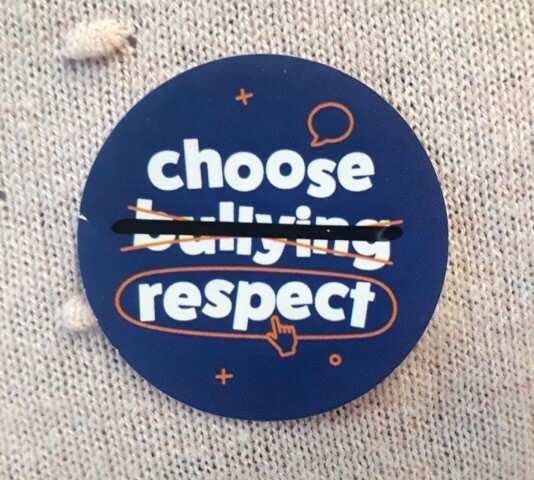 Posters with this year’s theme ‘Choose Respect’ were hung around the Dunn School and everyone was encouraged to wear a sticker all week long to illustrate the zero-tolerance for bullying at the Dunn School.